Roasted Beet Salad with Cheese, a healthy and nutritious salad, can be served for breakfast or dinner and can be served with toast. 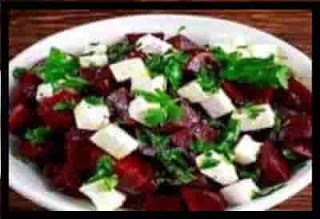 Beetroot salad with cheese is an appetizing and easy to prepare a salad. Regular feta cheese or vita cheese can be used as desired. - The oven is heated at 180 ° C.
- In the pot be placed cubes of beet after roasting beet is said to prepare the salad and add olive oil and stir the beet cubes. - In the Pyrex bowl, place the beet cubes and bake in the oven for 35 minutes. 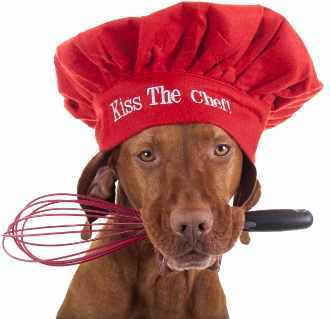 - Remove from oven and pour in serving a dish. - Add onion and olive oil and stir. - The feta cheese is placed after it is dissolved on the surface of the salad. - Serve with salad with toast and health and wellness.